Update: We're getting reports that this should be rolling out in full-force now. Anyone get theirs today? Update 2: We're hearing that a lot of people are still without the update, so we pinged HTC to make sure everything is rolling as planned. Everything is right on schedule, so just sit tight -- it should be hitting your device anytime now. Update 3: After months of silence, it seems the beast has awoken, and the update is rolling out yet again, with the same version number 4.06.605.3. 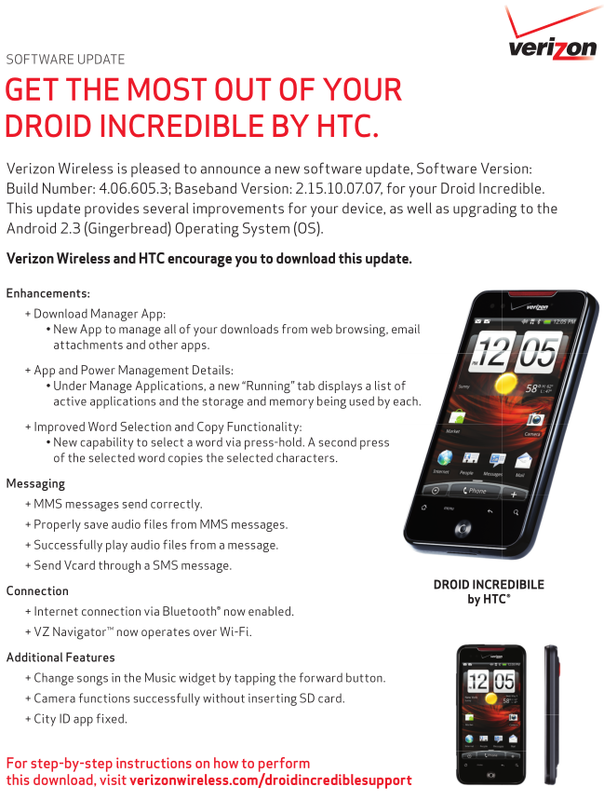 There is also word of a smaller 8.6MB update 4.08.605.2, which will probably piggyback on top of 4.06.605.3. C-c-c-ombo breaker! 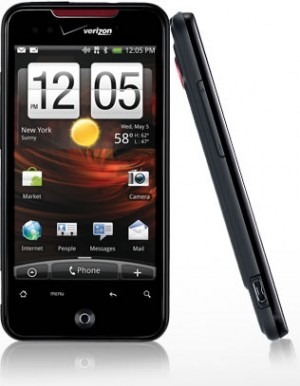 The teeter-totter status of the HTC Droid Incredible's Gingerbread update hit a climax two days ago when HTC officially announced that the OTA would be rolling out in September. 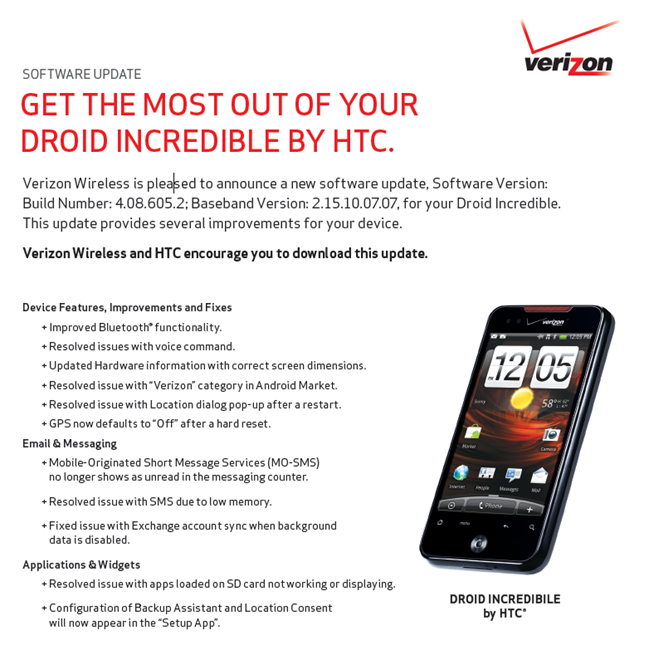 It looks like HTC wasn't playing around, as the word on the street is that the update could start rolling out as early as today. Further backing up this theory, Verizon pushed an updated version of the documentation surrounding this update to the Inc's support page this morning. The updated page shows a point bump in version number from the previously leaked build, up to 4.06.605.3, so whatever the cause for the delay, it definitely warranted some changes.